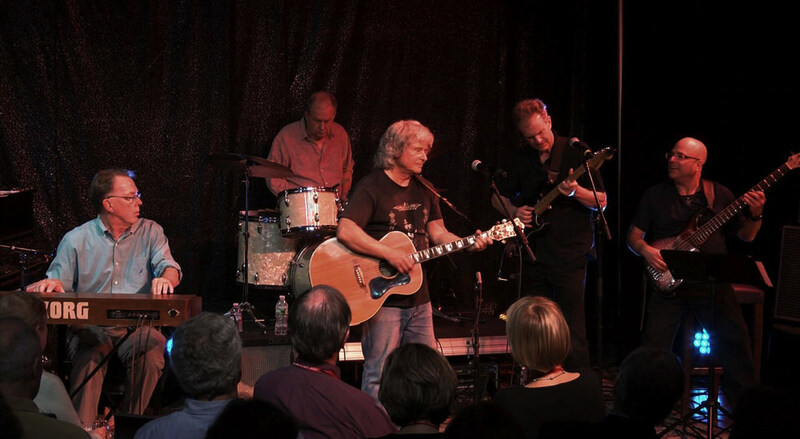 Peter Coonradt, on guitar at center, performs with other 1968 alumni during last spring’s fiftieth-reunion celebration in the Leverett House Theater. “I’ve had many, many strange emails since publishing my book on Bob Dylan,” classicist Richard Thomas was telling a sold-out crowd at the Brattle Theater last Wednesday evening, before the lights dimmed for the premiere screening of Underground 68—a film that emerged from one of those strange emails. After Thomas’s Why Bob Dylan Matters appeared in 2017, filmmaker Peter Coonradt ’68 got in touch. “Bob Dylan has been my lighthouse beacon on the sea of life for more than 50 years,” he wrote to the Lane professor of the classics, who read the email aloud to the Brattle audience. Intrigued, and moved by the poetry in Coonradt’s note, Thomas wrote back, and a creative collaboration sprang up between the two men and Ariel Smolik-Valles ’17, a teacher in Mattapan whose senior thesis on the 1960s campus antiwar movement had led her to a phone call and an ongoing correspondence with Coonradt. The result is Underground 68, a dreamlike, multilayered film, much of it shot in and around Harvard, that mixes fiction with documentary. It takes Smolik-Valles’s thesis as a jumping-off point for exploring not only the 1960s counterculture, but a half-century’s worth of societal upheaval, the unfolding of individual lives, and the abiding importance and meaning in artistic expression. 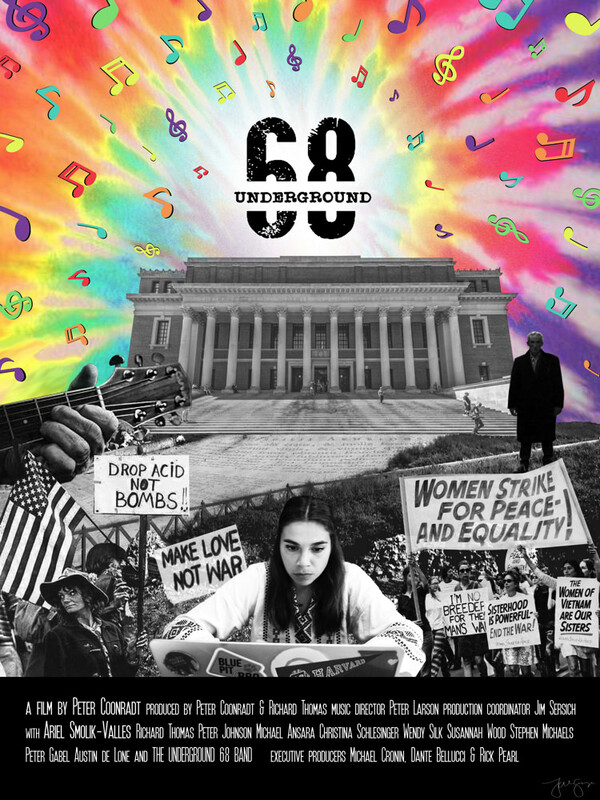 Underground 68 spends time in a rowdy elementary-school classroom, on the streets of ancient Rome, and in the Leverett House basement theater, where Coonradt helped organize a weekend of events for the class of 1968’s fiftieth reunion last spring. Scenes from that celebration—a performance of Dylan songs and other folk music, a collaborative mural-painting—are interspersed with recreations of Smolik-Valles researching her thesis in the Harvard archives and in Thomas’s office, where she and the professor read Virgil alongside Dylan; and in the living rooms and kitchens of 1968 graduates who share their personal stories of time and transformation. With curiosity and idealism and obvious affection, the film spins out different threads of the 1960s revolution and weaves together something quirky and hopeful and touching. A June screening is planned in Vallejo, California. The film is also available for streaming, and a soundtrack featuring the alumni artists who performed on screen is for sale. More information at the Underground 68 website.